The Reds surprised everyone by ending a decade and a half playoff drought - not to mention a failure to place higher than 3rd in their division in this millennium - by winning their division and blowing away the competition in the process. They flip-flopped with the Cardinals a few times for the division lead, at one point trailing by as many as five games in early May, but they won five of their next six after that, and never found themselves more than a game and a half out of first. They took over first place for good on August 11th and ended up winning by five games. Their offense is led by MVP candidate Joey Votto's 37 homers and .324 batting average, though really there are few weak spots in the lineup. Four other players hit at least 18 homers, and the two headed catching monster, Ryamon Hernanigandez, hit .298 with 88 RBIs. The only soft spot in the offensive underbelly is shortstop Orlando Cabrera, who hit only .263 with no power or patience, and that's not much of a weak spot. Most teams have two or three players like that. The 2010 Mariners would have sold their souls to Donald Trump for a hitter as good as Cabrera. The Reds led the Senior Circuit in Runs, home runs, batting average, slugging percentage, OPS, and missed leading the league in OBP by one point to the Braves. They also had the fewest errors in the NL, so you know their defense isn't likely to give any games away. 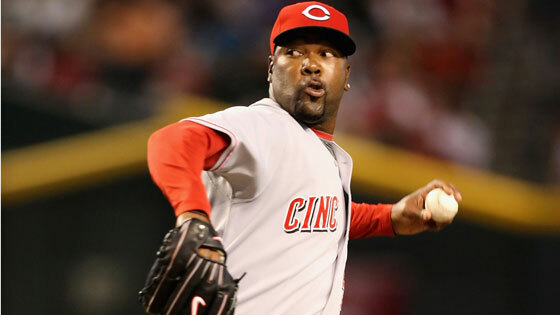 Good thing, too, because after Bronson Arroyo and Johnny Cueto, the starting pitching is pretty questionable. Edinson Volquez has no shortage of talent, but is a huge question mark after two years of just four wins and a 4.3ish ERA each, due to injuries. He's as likely to surrender five runs in two innings as he is to rack up ten strikeouts in seven shutout frames. They won't likely feel comfortable throwing Volquez out for Game 4 on three days' rest, given his injury history, so I expect that rookie southpaw (and awesomely-named) Travis Wood will get the ball for that contest. Wood pitched only half a season and went only 5-4 (with a 3.51 ERA) but he's absolute poison to lefties, allowing them a paltry .136 average and two extra base hits in 67 at-bats. I'm sure that Ryan Howard, Chase Utley and Raul Ibanez are hoping that the series is decided in three games. Jason Werth and Shane Victorino both provide power and speed, and Placido Polanco and Carlos Ruis both hit around .300, with doubles power and a few walks to boot. Ross Gload, Mike Sweeney, Ben Francisco and Wilson Valdez give them an experienced and capable bench both on offense and defense. And it may very well be. With Roys Halladay and Oswalt and lefty Cole Hamels likely to start every game of the series, it may not matter. Halladay is practically a lock for the NL Cy Young award, and Oswalt and Hamels both pitched as well as anybody in baseball this season, giving the Phillies the three of the top seven pitchers in the NL in Wins Above Replacement for 2010. The Phillies were second in the NL in Runs Scored, were 4th in the NL in steals and led the league in SB percentage, with an incredible 84% mark, so you know they won't run themselves out of a scoring opportunity. Their defensive was excellent too, with only a handful more errors than the Reds, good for 4th in the NL. Neither team has a particularly good or bad bullpen, both ranking around the middle of MLB with ERAs around 4.00. Brad Lidge, the Phillies' closer, has a reputation for choking, but that may just be because I live near Philadelphia and hear their fans whining about him a lot. He only blew five Saves this year, compared to eight for Francisco Cordero, and his ERA is almost an entire run lower. I'll take him over 'Cicso any day. The rest of the Phillies bullpen consists mostly of seasoned veterans who have been to this thing before, and won't be rattled by the bright lights in the playoffs. LAIM Joe Blanton figures as the long man out of the bullpen - the one they don't expect to need. 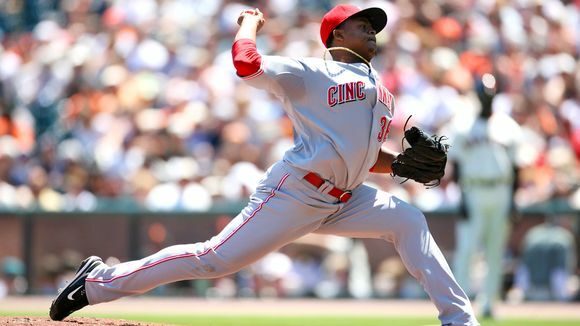 Cincinnati has a lot of youngsters out in the 'pen - Bill Bray, Homer Bailey, Logan Ondrusek, Nick Masset and of course Aroldis Chapman - though Arthur Rhodes should be able to help calm the seas. If the Phillies have a weakness to exploit, it's that they do not hit well against so-called "power" pitchers, with only a .219 batting average and 19 homers in more than 1100 plate appearances against pitchers who rank in the top third of the league in combined walks and strikeouts, according to Baseball-reference.com. The reds as a team are only in the middle of the pack in that regard, but some of their key pitchers -Volquez, Cueto, Bray, Chapman, Bailey - are power pitchers who need to strike batters out to succeed. 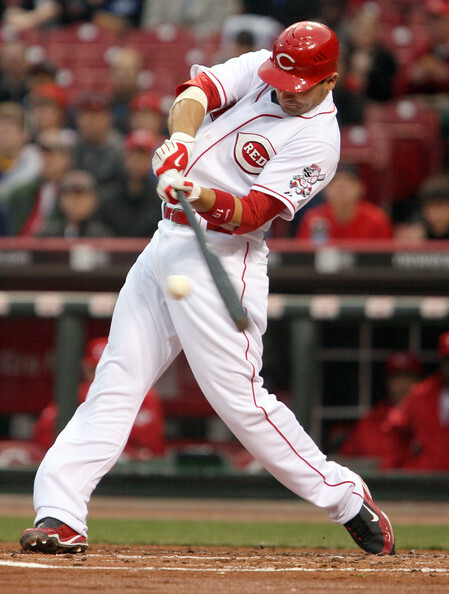 If they can do that, they Reds' stellar offense - apparently not a mirage of what used to be referred to as the Great American Bandbox - may be able to chip away at Halladay, Oswalt or hamels and steal a couple of wins. But I doubt it. Phillies in three.